Email Address* Password* Forgotten your Password? Title Title Dr Miss Mr Mrs Ms Invalid Title. Please select one from the list. A valid password is at least 8 characters long and no more than 99 characters, and must contain uppercase and lowercase letters, numbers and special characters. Yes, please send me exclusive discounts and special offers by email from BreakFree Holidays. Yes, please send me exclusive discounts and special offers by email from my participating newspaper. Yes, please send me SMS alerts when new offers become available. 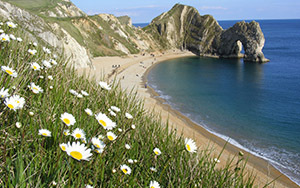 For holidays on some of England's most dramatic coastline, choose our caravan parks in Dorset and Somerset. Once the stomping ground of prehistoric beasties, the Jurassic coastlines of Dorset and Somerset are fascinating. 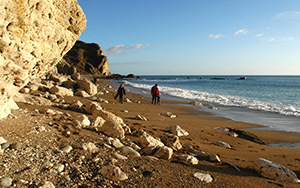 As the cliffs slowly erode new fossils are delivered to the beaches, so keep your eyes peeled for fossilised treasures. 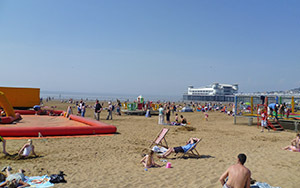 The Somerset coast has something of everything, with sandy beaches for bucket-and-spade family fun ...head to Weston-Super-Mare, Burnham-on-Sea and Minehead..., harbours and picture-box pretty seaside villages, and a Jurassic coastline for adventurers and explorers. Dorset was named England's first natural World Heritage Site - to see why make a beeline to Chesil Beach, Ringstead Bay, Lulworth Cove and Durdle Door, a hulking stone arch that rises from the sea. 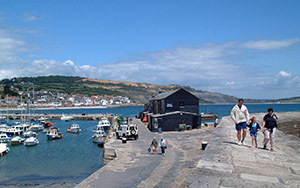 Dorset is home to two of England’s best seaside towns. 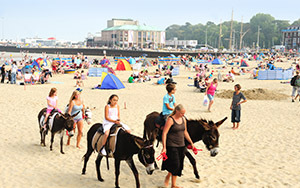 Bournemouth has miles of award-winning beaches and plenty of buzz. Weymouth has an impressive Georgian seafront with views of Jurassic coastline - hire a deckchair and enjoy. The vibrant Old Harbour is one of the most picturesque in Europe - look for the alfresco restaurants serving freshly caught crabs, lobsters and sea fish. Some of England's prettiest villages can be found along the Dorset coast, with Lyme Regis, Abbotsbury, West Lulworth, Milton Abbas and Cranborne Chase among our favourites. For a spiritual experience head to Glastonbury Tor which rises from the Somerset Levels. At its base are the ruins of Glastonbury Abbey, which is said to be the resting place of King Arthur and his Queen, Guinevere. Somerset’s two main cities offer a contrasting choice for day trips. 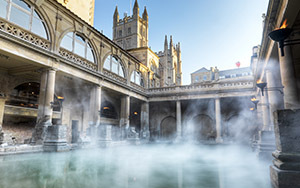 Bristol is an ancient city with a very modern feel and vibrant atmosphere, while pretty Bath is a World Heritage site with historic buildings including the incredibly well preserved Roman Baths that sit on top of a natural hot spring. For walkers in Somerset, there are fantastic routes including the Quantock Hills, Exmoor National Park and the limestone Mendip Hills. 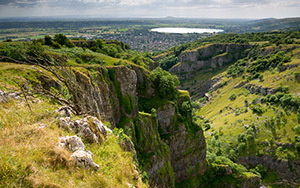 If you enjoy the taste of Britain's most popular cheese, head to Cheddar Gorge at the northern edge of the Mendips and discover the traditional manufacturing process, with cheese still being matured in the gorge's spectacular caves. Sign up & get money saving deals to your inbox! Sign up with us & checkout faster! Would highly recommend this service. This is the easiest, quickest website ever for booking holidays. Booking procedure could not be simpler. Excellent discount on normal price. Stress free way of booking competitively priced holidays in great locations. 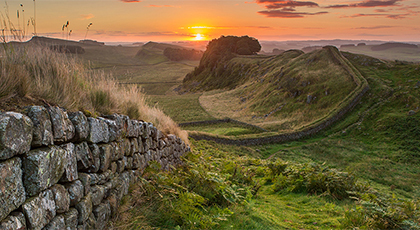 BreakFree Holidays are registered in England No. 05753643 | Copyright © BreakFree Holidays. All rights reserved.